At Tuningi, your wedding ceremony will become a subtle combination of African chic grace and charm. The ceremony will take place at the lodge, for accessibility and convenience. 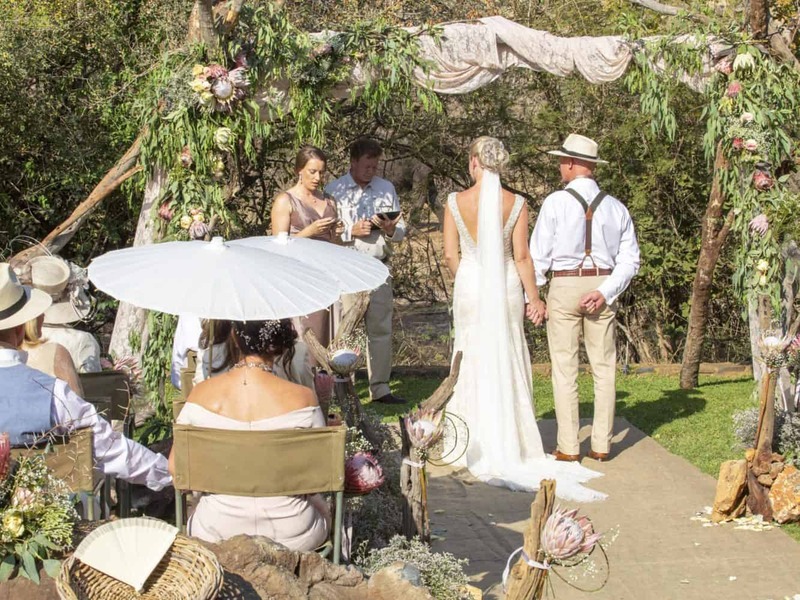 Defined by careful attention to detail, service and co-ordination, the Tuningi team will lend a stylish yet relaxed and welcoming atmosphere to your exclusive safari wedding South Africa. 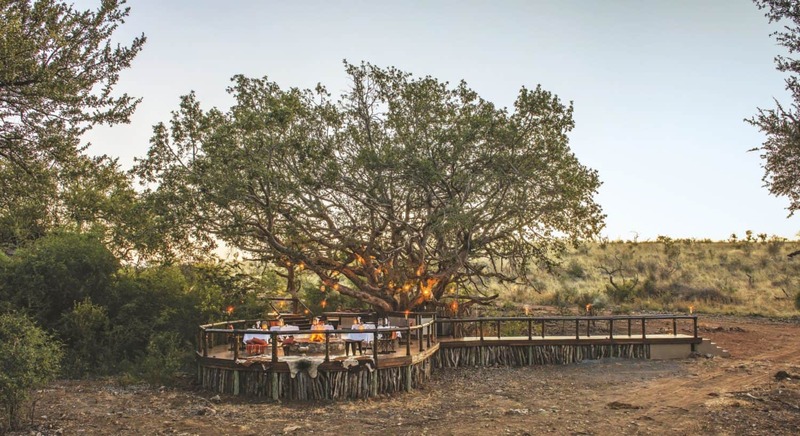 On the night of arrival we will treat you and your guests to a traditional bush dinner in the middle of the reserve under the stars. The day of the wedding will begin lazily with a relaxed brunch on the deck at the lodge, after which all will have time for a rest before the big event. 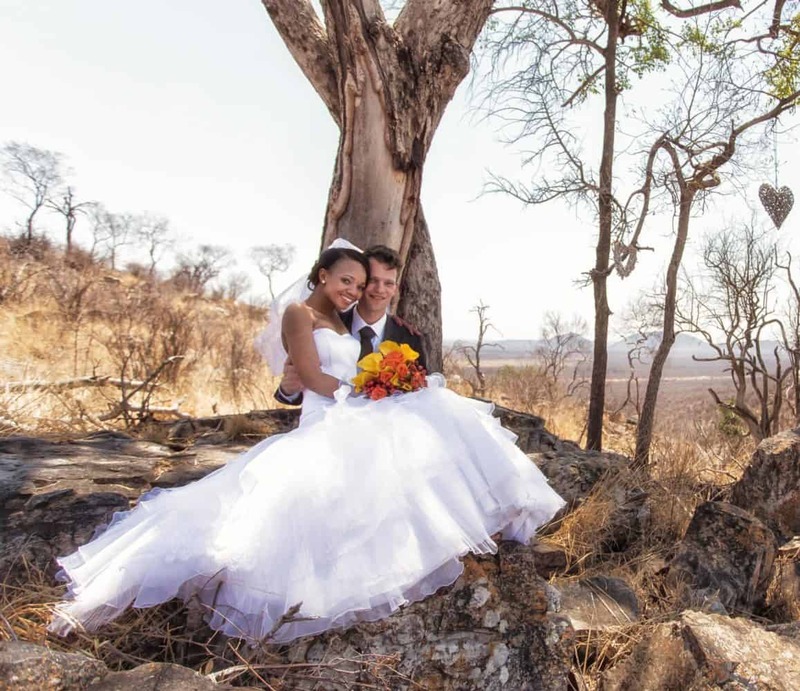 Game drives day before and after your safari wedding for all guests that are accommodated at the lodge. Bush dinner the night before the wedding for all the guests. 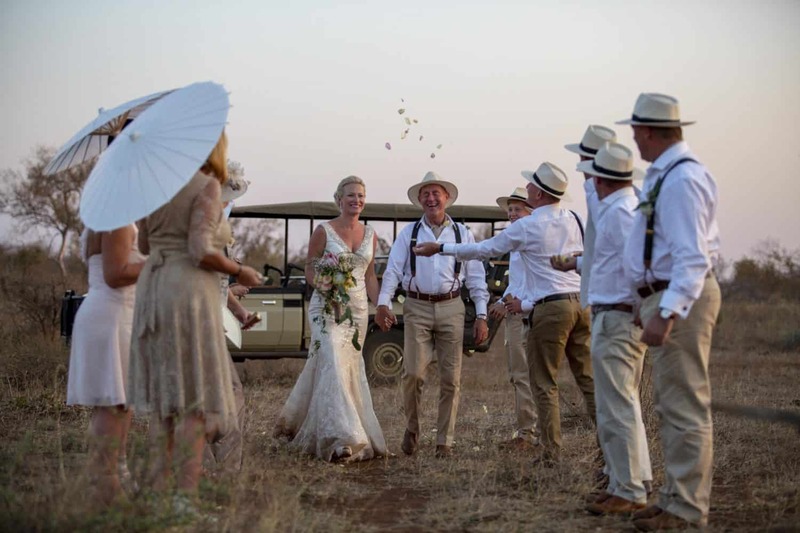 A wedding ceremony in the bush on a hilltop. 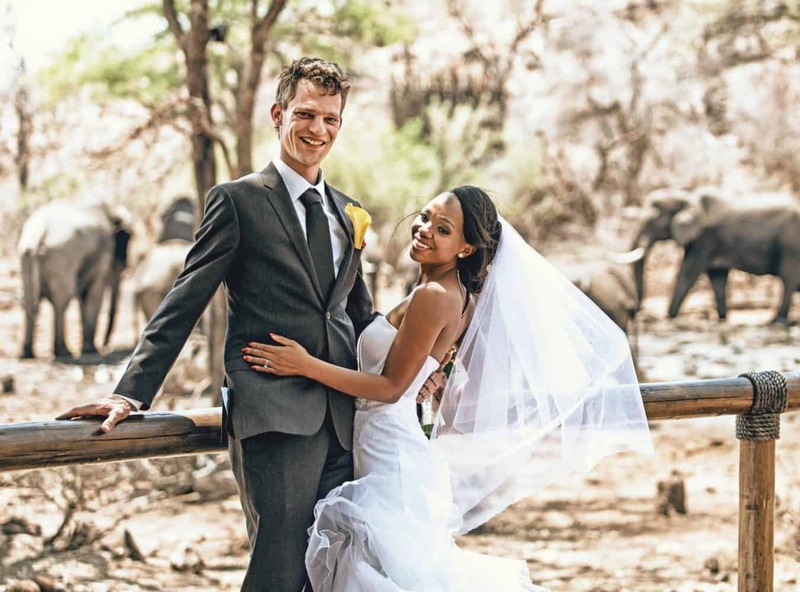 A welcome drink and snack in the Tuningi boma, overlooking the waterhole, during the bridal couple’s photoshoot. Wedding reception and dinner in the Main Lodge. Singing and dancing of Lodge choir, ensuring a typically safari wedding. Special wedding turndown for the bridal couple including a bottle of South African sparkling wine. Wedding gift for the bridal couple, courtesy of Tuningi. Full body massage for bride and groom. Witnesses at the ceremony (lodge staff). Pressing of bride and groom garments. Transportation of Bridal couple and all guests from the lodge to the ceremony in the bush. The Minister and preparation and processing of all legal documents. Photographer, hairdresser and make-up artist. Additional beauty treatments are available on request and are quoted accordingly. 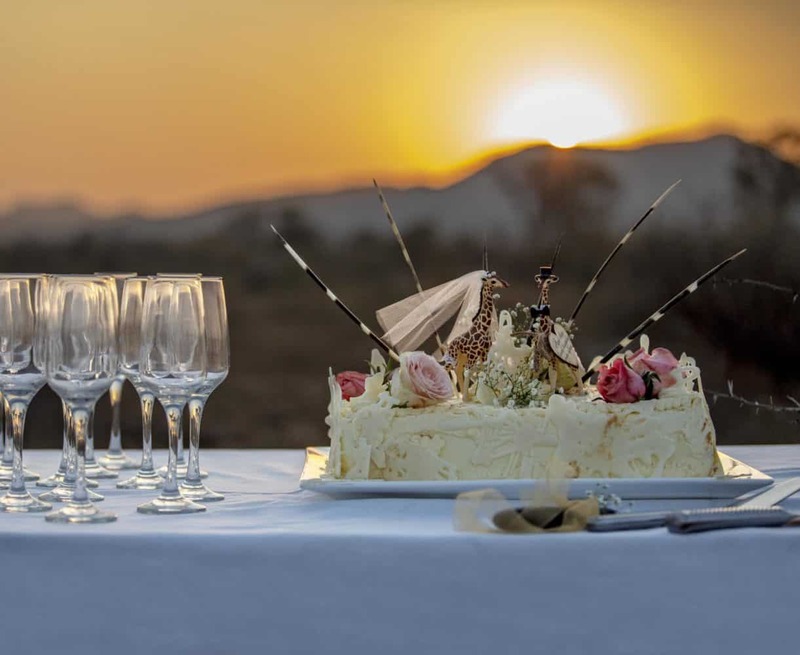 A wedding at Tuningi is more than just a ceremony; it's a celebration of the love between two people.